The Black/Clear Polinelli® premium readers include a pop of color which highlights the curves of their trendy oversized frame. The patented BluePro Technology blocks approximately 30% of potentially harmful blue light to help provide a better viewing experience. 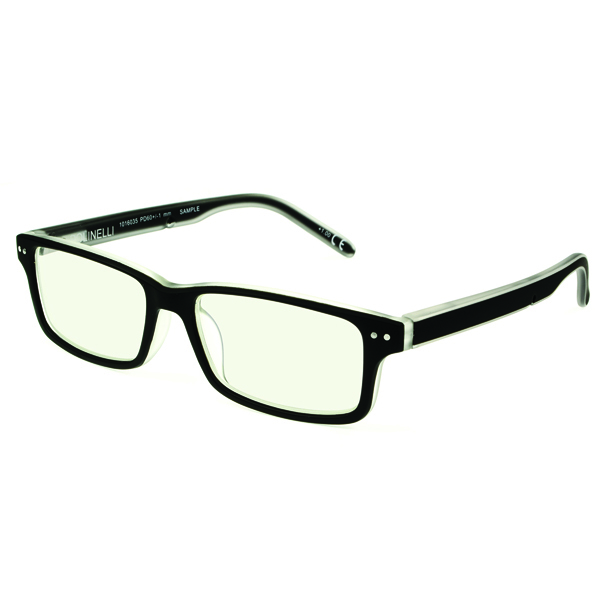 They also feature UV400 protection which eliminates glare for enhanced visual clarity. All styles and colors are finished with a rubberized texture that provides a luxurious soft touch feel and come with a color coordinated silicone cord and protective case.